Home » Children » Danger for Boys Who Play With Dolls? Society maintains rules about children’s behavior. Some rules dictate the toys a child should play with based on gender. Retailers market baby dolls to girls and toy cars to boys. The reason is that young children must be taught which roles they are expected to play. What happens when girls play with toy cars? Or boys play with dolls? Is this risky business? Research shows that many behaviors associated with gender, either female or male, are passed on by culture, family, and society. A great deal of gender-oriented attitudes are not linked to genetics or gender at al. In spite of this, we continue to hear comments like “Why did they dress that boy in pink”? Family and social influences do affect child behavior and attitude. Girls in the US are underrepresented in STEM courses in school – those are Science, Technology, Engineering, and Mathematics. Teachers thought that boys excelled at STEM careers. Turns out that girls are just as good in STEM fields as boys. The National Institute of Health published research that explains who influences by family, society, and culture – and especially mothers – affect whether a female child chooses to pursue a career in Science. Another myth is that men are not good house-parents. Once again, research demonstrates that Dads have the capacity to be nurturing, responsive, and loving to children. Men are also able to do laundry, cook, and dress their children in matching clothes. So are there any real dangers in letting boys play with dolls? Or girls play with cars? Allowing children to play with gender-opposite toys can affect child development. Parents should carefully choose the toys they provide to their children. Giving art supplies to a child might, for example, stimulate a child’s creativity and artistic talent. Giving a Frisbee to a child may promote balance and coordination. But what about girls playing with cars and tools? 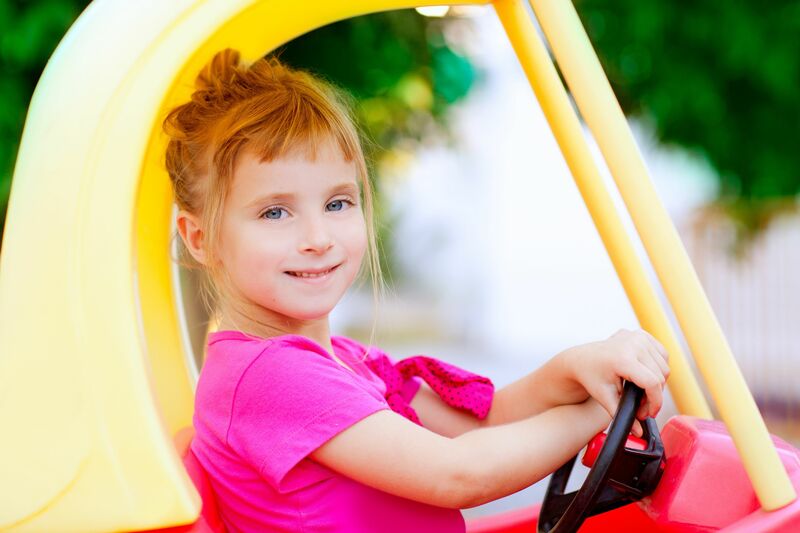 Girls who like to play with toy cars are more likely to become savvy car owners later on. They may even develop better driving skills from pretending to drive during early childhood. Playing with tools may cause a girl to become handy around the house as an adult. What about little boys playing with baby dolls? 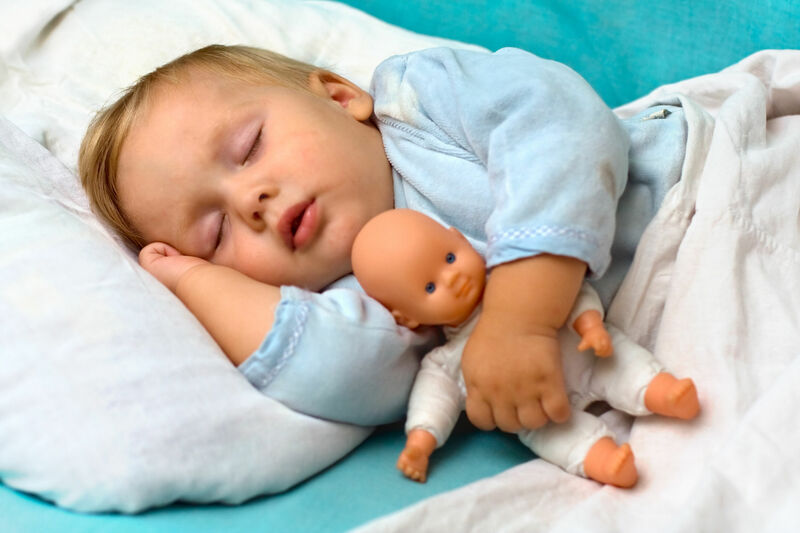 Little boys who play with baby dolls are more likely to develop the capacity to care for others. They may also develop their capacity to nurture. Boys who play with baby dolls may one day become awesome fathers. So are there any dangers associated with girls playing with trucks or boys playing with dolls? The potential danger is that children who are deprived of a balanced play experience may miss out on important developmental play. The only real danger is that a child who does not get to play with a wide variety of toys may miss out on a lot of learning and fun! Darleen Claire is a Parent Expert, Educator, and Counselor. Follow her blog at ParentBlog.org.